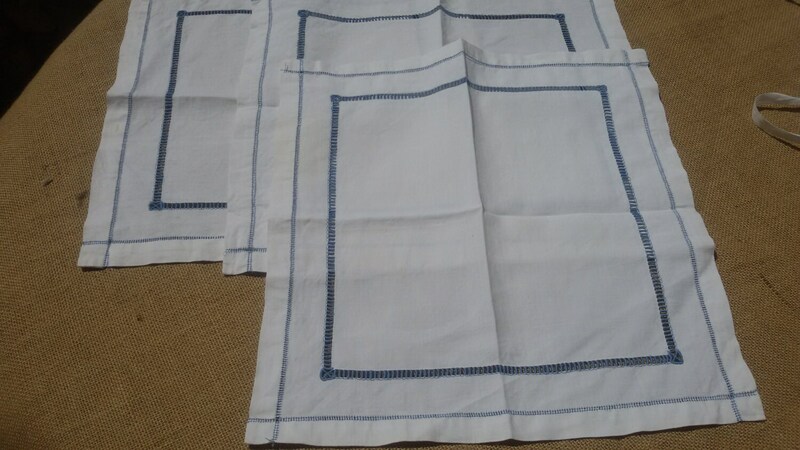 Set of 3 beautiful large French linen napkins with blue seam and ladder work . 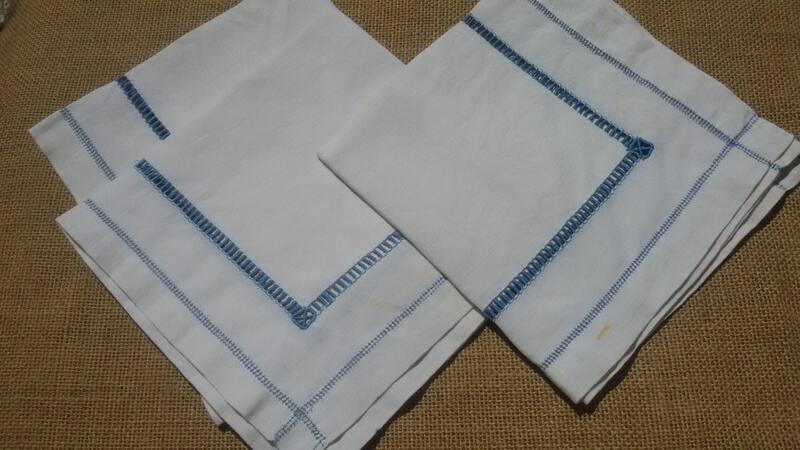 Handmade . 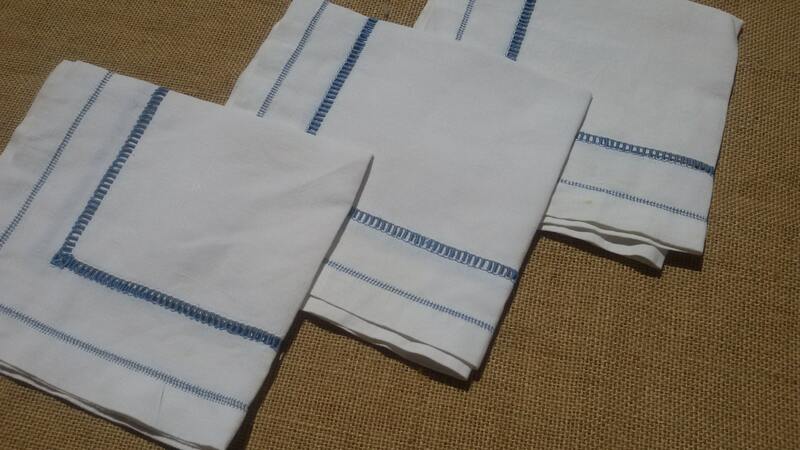 Napkins or small tea towel or dish wrap . 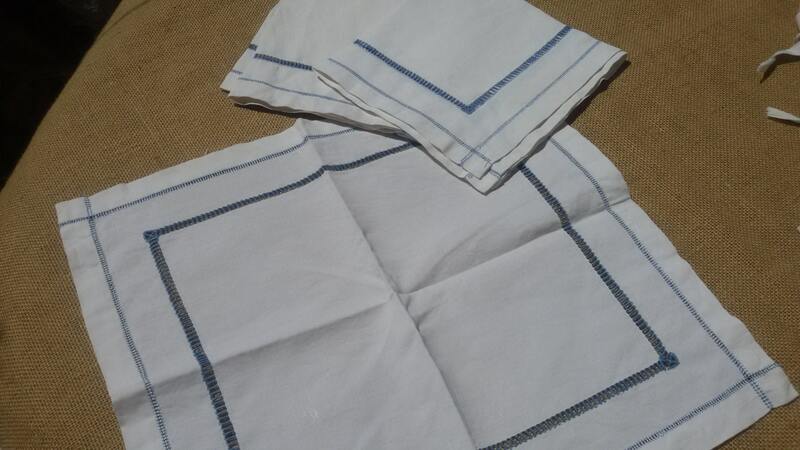 Old napkins in good condition , one has 3 rusty spots ! 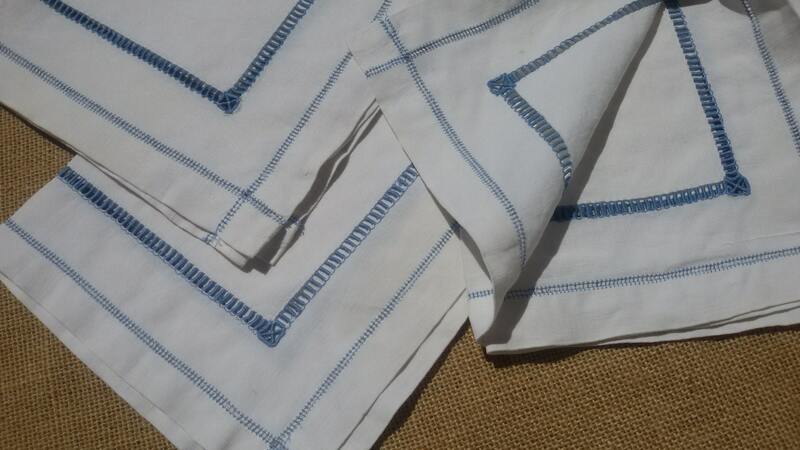 Beautiful to wrap a wine bottle or a bread basket !